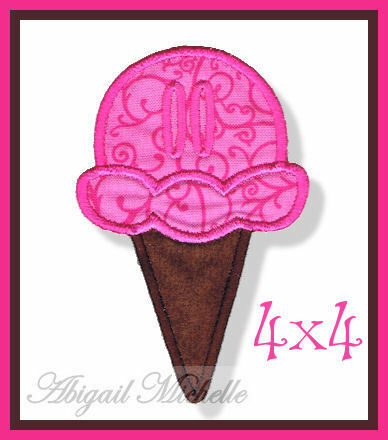 Ice Cream Cone Banner Add On - 3 Sizes! 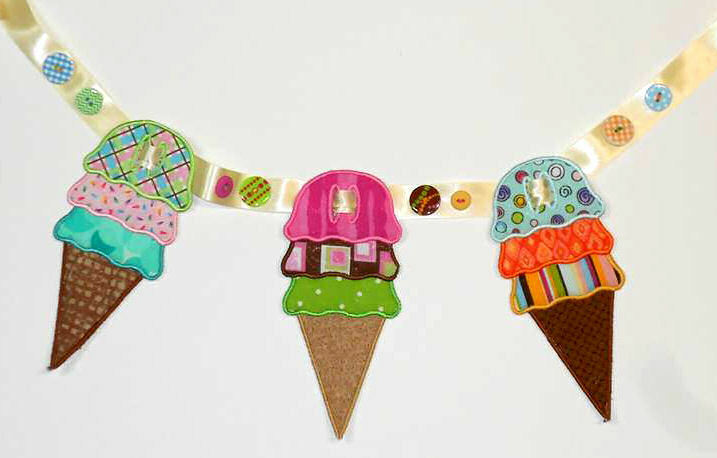 This yummy ice cream applique Banner Add On is made to coordinate with our Fun Banner Alphabet, sold separately below. Great for birthday banners and more. The 4x4 size is single scoop. The 5x7 and 6x10 sizes are three scoops. This yummy ice cream applique Banner Add On is made to coordinate with our Fun Banner Alphabet, sold separately below. Great for birthday banners and more. The 4x4 size is single scoop. The 5x7 and 6x10 sizes are three scoops. Balloon Group Banner Add On - 2 Sizes! Finish Size: Single Scoop 2.57" x 3.93"
Finish Size: Three Scoops 3.06" x 6.91"
Finish Size: Three Scoops 4.33" x 9.87"